THIS END USER LICENSE AGREEMENT, INCLUDING ANY MODIFICATIONS MADE TO THEM (IN ACCORDANCE WITH SECTION 3.20 OR 3.22 BELOW) FROM TIME TO TIME, CONSTITUTE AN AGREEMENT BETWEEN US AND YOU THAT GOVERNS YOUR ACQUISITION AND USE OF OUR SOFTWARE SOLUTIONS. IF YOU REGISTER FOR A FREE TRIAL FOR OUR SOFTWARE, THE APPLICABLE PROVISIONS OF THIS AGREEMENT WILL ALSO GOVERN THAT FREE TRIAL. BY ACCEPTING THIS AGREEMENT, EITHER BY CLICKING A BOX INDICATING YOUR ACCEPTANCE, DOWNLOADING OUR SOLUTIONS, OR BY EXECUTING AN ORDER FORM (AS DEFINED BELOW) THAT REFERENCES THIS AGREEMENT, YOU AGREE TO THE TERMS OF THIS AGREEMENT. IF YOU ARE ENTERING INTO THIS AGREEMENT ON BEHALF OF A COMPANY OR OTHER LEGAL ENTITY, YOU REPRESENT THAT YOU HAVE THE AUTHORITY TO BIND SUCH ENTITY AND ITS AFFILIATES TO THESE TERMS AND CONDITIONS, IN WHICH CASE THE TERMS “YOU” OR “YOUR” SHALL REFER TO SUCH ENTITY AND ITS AFFILIATES. IF YOU DO NOT HAVE SUCH AUTHORITY, OR IF YOU DO NOT AGREE WITH THESE TERMS AND CONDITIONS, YOU MUST NOT ACCEPT THIS AGREEMENT AND MAY NOT USE THE SOLUTIONS. THIS AGREEMENT IS EFFECTIVE BETWEEN YOU AND US AS OF THE EFFECTIVE DATE (AS DEFINED BELOW). IF ANY PORTION OF THE SOFTWARE REQUIRES YOU TO REGISTER, YOU MUST COMPLETE THE REGISTRATION PROCESS BY PROVIDING US WITH CURRENT, COMPLETE AND ACCURATE INFORMATION AS PROMPTED BY THE APPLICABLE REGISTRATION FORM. YOU ARE ENTIRELY RESPONSIBLE FOR ANY AND ALL ACTIVITIES THAT OCCUR UNDER YOUR ACCOUNT. YOU MAY NOT USE THE SOLUTIONS IF YOU ARE OUR DIRECT COMPETITOR, EXCEPT WITH OUR PRIOR WRITTEN CONSENT. IN ADDITION, YOU MAY NOT ACCESS THE SOLUTIONS FOR PURPOSES OF MONITORING THEIR AVAILABILITY, PERFORMANCE OR FUNCTIONALITY, OR FOR ANY OTHER BENCHMARKING OR COMPETITIVE PURPOSES. 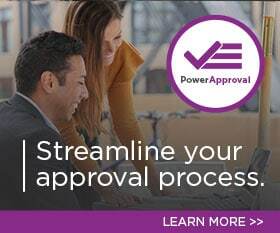 The parties agree that this End User License Agreement (“EULA”) govern Customer’s use of the PowerObjects PowerPacks Solutions. The parties also agree that the separate PowerPacks Terms of Service (“ToS”) governs the usage of the associated Online Services for those PowerPack Solutions that require them and sets forth their obligations with respect to the processing and security of Customer Data and Personal Data by the Online Services. Separate terms, including different licensing, privacy and security terms, govern Customer’s use of Non-PowerObjects Products. “We,” “Us” or “Our” means PowerTeam LLC. or its Affiliate that is listed in the applicable Order Form. “You” or “Your” means the company or other legal entity for which You are accepting this Agreement, and Affiliates of that company or entity which have signed Order Forms. “Solution” means any of the PowerPack Software Solutions published by Us that are ordered by You under an Order Form or provided to You under a free trial. “Service” means any Online Services made available by Us as part of the PowerPack Solutions that are ordered by You under an Order Form or provided to You under a free trial. “Agreement” means this End User License Agreement, as the same may be amended or modified (in accordance with Section 3.20 or 3.22 below) from time to time. “ToS” means the PowerPacks Terms of Service. “Brands” means, with respect to either party, the name, trade name, trademarks and icons of such party. “Documentation” means the applicable usage guides and policies, as updated from time to time, accessible via http://www.powerobjects.com or login to the applicable Solutions or Service. “Effective Date” means the date that You accept this Agreement. “Initial Term” shall have the meaning set forth in Section 3.7 below. “Renewal Term” shall have the meaning set forth in Section 3.7 below. “Term” shall have the meaning set forth in Section 3.7 below. “Order Form” means an ordering document or online order specifying the Solutions to be provided hereunder that is entered into between You and Us or any of Our Affiliates, including any addenda and supplements thereto. By entering into an Order Form hereunder, an Affiliate agrees to be bound by the terms of this Agreement as if it were an original party hereto. “Third-Party Application” means a Web-based, mobile, offline or other software application functionality that is provided by You or a third party and interoperates with a Solution or Service. “Instance” means any Microsoft Business Applications service or environment. “Your Data” means all data, including all text, sound, video, or image files, and software, that are provided to Us by You, or on Your behalf of, through use of the Services or Solutions. Your Data does not include Support Data. “Affiliate” means, with respect to any entity, any entity that directly or indirectly controls, is controlled by, or is under common control with such entity. “Control,” for purposes of this definition, means direct or indirect ownership or control of more than 50% of the voting interests of the subject entity. In consideration of the payment of the subscription price for the right to use Our Solutions, and Your adherence to all provisions of this Agreement, We grant You a personal, non-exclusive, non-transferable license to access and use Our Solutions. You may not copy, modify, or transfer the solution to others, in whole or in part, except as expressly provided in this Agreement. The solution contains Our trade secrets, and You may not reverse engineer, disassemble, decompile, or translate the solutions, or otherwise attempt to derive its source code or the source code through which the solution is accessed, or authorize any third party to do any of the foregoing. The license granted hereunder is personal to You, and any attempt by You to transfer any of the rights, duties or obligations hereunder shall terminate this Agreement and be void. You may not rent, lease, loan, resell, or distribute the solution or any part thereof in any way including, but not limited to, making the solution available to others via shared access to a single computer, a computer network, or by sharing access information, which includes Your Username and Password. Our Solutions are our property, if any, and subject to applicable patent, copyright, trade secrets, trademarks and other proprietary rights. The Solutions are licensed, not sold, to You for use only under the terms of this Agreement, and We reserve all rights not expressly granted to You. You acknowledge that no title to the intellectual property in the Solutions is transferred to you. You further acknowledge that title and full ownership rights to the Solutions will remain Our exclusive property and/or our suppliers, and you will not acquire any rights to the Solutions, except as expressly set forth in Section 3.1. All title and copyrights in and to the Solution (including but not limited to any images, photographs, animations, video, audio, music, text and “applets,” incorporated into the Solution), the accompanying printed materials, and any copies of the Solution, are owned by Us or Our suppliers. The Solution is protected by copyright laws and international treaty provisions. You may not copy the printed materials accompanying the Solution. The start date of any paid subscriptions ordered by You for such Service(s). A free trial shall be limited to up to thirty (30) days. In addition, We may further limit, suspend, or terminate a free trial in Our sole discretion if We believe that Your activities are creating problems, possible legal liabilities, or acting inconsistently with the letter or spirit of this Agreement or Our policies. Additional free trial terms and conditions (beyond those set forth in this Agreement) may appear on the free trial registration web page. Any such additional terms and conditions are incorporated into this Agreement by reference and are legally binding. We may, in Our discretion, offer updates, upgrades, patches and/or new versions of the PowerPacks to You. If instructed by Us, You shall promptly install any such updates, upgrades, patches and/or new versions. The ability to use Our Solutions may be affected by minimum system requirements or other factors. Our Solutions are priced on a Per User basis and ALL the users of your Instance(s) MUST be licensed. You agree to pay the subscription fee for all users on your Instance(s). We might, at our sole discretion, make available to You licenses for Your Non-Production Instance(s) at no additional cost. This must be requested via Our Support channels once You have subscribed to the Solution. Quantities purchased cannot be decreased during the relevant Term. Invoices will be made available to You on or about the first day of each month for that month’s PowerPacks (unless otherwise specified in the Order Forms). Invoices are to be paid within 30 days of the invoice date. If You are paying by credit card, payment for the Solutions is on a pre-paid basis and You are charged on a periodic basis for the Solutions. You are responsible for maintaining accurate and current credit card information. If credit card charges for the Solutions are denied for any reason, use of the Solutions may be terminated. A one and one-half percent (1.5%) monthly service charge (or the highest amount permissible by law, if less) is payable on all overdue balances that are outstanding more than thirty (30) days after the date of the invoice. The service charge is in addition to the overdue balance. You shall pay or reimburse Us (at Our election) for any costs of collecting any amount past due hereunder, including reasonable attorneys’ fees and collection agency fees. We reserve the right to increase or modify fees for each Renewal Term for the Services. All fees are exclusive of, and You are responsible for, applicable federal, state, or local sales, use, excise or other applicable taxes, other than taxes on Our net income. You shall pay or reimburse Us for any such taxes and We may add any such taxes to invoices We submit to You. You agree that Your subscription for Our Solutions is not contingent on the delivery of any future functionality or features, or dependent on any oral or written public comments made by Us or Our agents regarding future functionality or features. This Agreement will commence upon the Effective Date and continue for the term set forth in the Order Form (the “Initial Term”) unless terminated earlier pursuant to Section 3.8. If no Initial Term is presented during the Registration Process, the Initial Term shall be deemed to commence on the Effective Date and end on the day before the first day of the next month following the Effective Date. Following the Initial Term, this Agreement shall renew automatically for consecutive periods equivalent to the longer of a) Initial Term or b) calendar month, unless You inform Us in writing at least five (5) days prior to the end of the Term of Your intent to terminate the Agreement upon completion of the Term. Upon request, You shall acknowledge the commencement of each Renewal Term in writing; provided, that failure to acknowledge shall not affect the existence of the Renewal Term. If the other party becomes the subject of a petition in bankruptcy or any other proceeding relating to insolvency, receivership, liquidation or assignment for the benefit of creditors. Provided that if such termination without cause occurs during the Initial Term (but not during a Renewal Term), You shall pay to Us an early termination fee in an amount equal to the fees that would be due for PowerPacks hereunder for the lesser of (a) six (6) months, and (b) the remainder of the Initial Term. We will invoice You for such early termination fee upon receipt of Your notice of early termination. due to any breach by You of the terms of this Agreement. If this Agreement is terminated by Us in accordance with this Section, You will pay any unpaid fees covering the remainder of the Term of all Order Forms. In no event will termination relieve You of Your obligation to pay any fees payable to Us for the period prior to the effective date of termination. Immediately, but in any event within twenty-four (24) hours upon expiration or any termination, You shall remove all materials, tags and code placed on Your website or Instance as part of the PowerPacks. You grant to Us, Our licensors and Our respective Affiliates a worldwide, perpetual, irrevocable, royalty-free license to use and incorporate into Our, Our licensors and/or Our respective Affiliates’ Solutions any suggestion, enhancement request, recommendation, correction or other feedback provided by You or Users relating to the operation of Our, Our licensor’s or Our respective Affiliates’ Solutions. use the Solutions in compliance with all applicable laws, rules and regulations. We and You understand and agree that in connection with the negotiation and performance of this Agreement, each party may have had or gain access to or may have been or be exposed to, directly or indirectly, private or confidential information of the other party, including, but not limited to, trade secrets, computer programs and code, scripts, algorithms, features and modes of operation, inventions (whether or not patentable), techniques, processes, methodologies, schematics, testing procedures, software design and architecture, design and function specifications, analysis and performance information, documentation, details of its products and services, know-how, ideas, and technical, business, financial or marketing information, models, pricing, plans and strategies, as well as names and expertise of, and information relating to, vendors, employees, consultants, customers and prospects and any other information that the receiving party reasonably should know is confidential t reasonably should be understood to be confidential given the nature of the information and the circumstances of disclosure (“Confidential Information”). Each party agrees to hold and treat all Confidential Information of the other party in confidence and will protect the Confidential Information using reasonable efforts, but in any event not less than the same degree of care as such party uses to protect its own Confidential Information of like nature. as may be required by law, applicable regulation or judicial process, provided, however, that if the receiving party is required to disclose such Confidential Information under this clause (b), the receiving party shall promptly notify the disclosing party, in writing, of such pending disclosure and consult with the disclosing party prior to such disclosure as to the advisability of seeking a protective order or other means of preserving the confidentiality of the Confidential Information. has been independently acquired or developed by the receiving party without violating its obligations under this Agreement or under any federal or state law, and without using any Confidential Information. This Section shall supersede any previous agreement relating to confidential treatment and/or non-disclosure of Confidential Information; provided, however, that any information disclosed pursuant to that earlier agreement shall be deemed to be Confidential Information and protected under the terms of this Agreement as if this Agreement had been in place at the time of such disclosures. update such Solution to make it conform. These are Your only remedies for breach of the limited warranty, unless other remedies are required to be provided under applicable law. DURING ANY FREE TRIAL THE SOLUTION IS PROVIDED “AS-IS” WITHOUT ANY WARRANTY. EXCEPT AS EXPRESSLY PROVIDED HEREIN, NEITHER PARTY MAKES ANY WARRANTY OF ANY KIND, WHETHER EXPRESS, IMPLIED, STATUTORY OR OTHERWISE, AND EACH PARTY SPECIFICALLY DISCLAIMS ALL IMPLIED WARRANTIES, INCLUDING ANY IMPLIED WARRANTY OF MERCHANTABILITY, FITNESS FOR A PARTICULAR PURPOSE OR NON-INFRINGEMENT, TO THE MAXIMUM EXTENT PERMITTED BY APPLICABLE LAW. WE DO NOT WARRANT, GUARANTEE OR MAKE ANY REPRESENTATIONS REGARDING THE USE, THE RESULTS OF THE USE OR THE BENEFITS OF THE SOLUTIONS, OR ANY INFORMATION CONTAINED THEREIN OR OTHERWISE PROVIDED PURSUANT TO THIS AGREEMENT. OUR PERSONNEL ARE NOT AUTHORIZED TO MAKE ANY EXPANSION, MODIFICATION OR ADDITION TO THIS LIMITATION OR THE EXCLUSION OF WARRANTIES IN THIS AGREEMENT. OUR EXPRESS WARRANTIES WILL NOT BE ENLARGED, DIMINISHED OR AFFECTED BY, AND NO OBLIGATION OR LIABILITY WILL ARISE OUT OF, OUR RENDERING TECHNICAL OR OTHER ADVICE IN CONNECTION WITH THE SERVICES. EXCEPT FOR YOUR LIABILITY ARISING OUT OF YOUR USE OF THE SERVICES OR SOFTWARE IN VIOLATION OF SECTIONS 3.1, 3.2, OR 3.10 ABOVE, OR FOR EITHER PARTY’S LIABILITY ARISING OUT OF A VIOLATION OF SECTION 3.11 ABOVE, IN NO EVENT SHALL EITHER PARTY BE LIABLE FOR ANY INDIRECT, INCIDENTAL, SPECIAL, CONSEQUENTIAL OR PUNITIVE DAMAGES, INCLUDING BUT NOT LIMITED TO LOST PROFITS, LOSS OR DELAY OF USE, LOSS OF BUSINESS, LOSS OF REVENUE, OR LOSS OF DATA, ARISING OUT OF OR IN RELATION TO THIS AGREEMENT OR THE SERVICES. NEITHER PARTY SHALL BE LIABLE FOR ANY ACTS OR OMISSIONS OF THIRD PARTIES. IN NO EVENT SHALL WE BE LIABLE FOR ANY CAUSE OR CLAIM WHATSOEVER ARISING OUT OF OR RELATED TO THIS AGREEMENT IN EXCESS OF THE AMOUNTS WE HAVE BEEN PAID HEREUNDER DURING THE TWELVE (12) MONTH PERIOD IMMEDIATELY PRECEDING THE DATE ON WHICH THE CAUSE OF ACTION AROSE. THE FOREGOING LIMITATIONS AND EXCLUSIONS WILL APPLY REGARDLESS OF WHETHER THE CAUSE OF ACTION ARISES IN CONTRACT, IN TORT OR OTHERWISE AND NOTWITHSTANDING THE FAILURE OF THE ESSENTIAL PURPOSE OF ANY REMEDY OR NEGLIGENCE. IN THE EVENT THAT APPLICABLE LAW DOES NOT ALLOW THE LIMITATION OF LIABILITY AS SET FORTH ABOVE, THESE LIMITATIONS WILL BE DEEMED MODIFIED SOLELY TO THE EXTENT NECESSARY TO COMPLY WITH APPLICABLE LAW. YOU EXPRESSLY ACKNOWLEDGE AND AGREE THAT WE HAVE SET OUR PRICES AND ENTERED INTO THIS AGREEMENT IN RELIANCE UPON THE LIMITATIONS OF LIABILITY SPECIFIED HEREIN, WHICH ALLOCATE THE RISK BETWEEN US AND YOU AND FORM A BASIS OF THE BARGAIN BETWEEN THE PARTIES. give Us all reasonable assistance, at Our expense. If We receive information about an infringement or misappropriation claim related to a Soluiton, We may, in Our discretion and at no cost to You, (i) modify the Solution so that they are no longer claimed to infringe or misappropriate, without breaching Our warranties under Section 3.12 (b) above, (ii) obtain a license for Your continued use of that Solution in accordance with this Agreement, or (iii) terminate Your subscriptions for that Solution upon thirty (30) days’ written notice and refund You any prepaid fees covering the remainder of the term of the terminated subscriptions. The above defense and indemnification obligations do not apply to the extent a Claim Against You arises from Your Data, or Your use of the Solution in violation of this Agreement, the Documentation or applicable Order Forms. You will defend Us against any claim, demand, suit or proceeding made or brought against Us by a third party alleging that any of Your Data infringes or misappropriates such third-party’s intellectual property rights, or arising from Your use of the Solution in violation of the Agreement, the Documentation, the Order Forms or applicable law (each a “Claim Against Us”), and You will indemnify Us from any damages, attorney fees and costs finally awarded against Us as a result of, or for any amounts paid by Us under a settlement approved by You in writing of, a Claim Against Us, provided We (a) promptly give You written notice of the Claim Against Us, (b) give You sole control of the defense and settlement of the Claim Against Us (except that You may not settle any Claim Against Us unless it unconditionally releases Us of all liability), and (c) give You all reasonable assistance, at Your expense. This Section 3.14 states the indemnifying party’s sole liability to, and the indemnified party’s exclusive remedy against, the other party for any type of intellectual property infringement or misappropriation claim described in this Section 3.14. From time to time, third-party software applications, plug in or other add-on online applications that integrate, interoperate or interact with Our Solutions (“Applications”) may become available. If You choose to install, access or enable an Application, You agree that the Third-Party Application provider may acquire access to Your account data and information data as required for the interoperation or integration of such Application and Applications are not maintained, monitored, tested, controlled, endorsed, provided, verified, validated or reviewed by Us. Accordingly, such Applications are governed by their own terms and conditions and are not considered Solutions under this Agreement. You assume full responsibility for any damages, losses, costs, or harms arising from the use of or inability to use such Applications. TO THE EXTENT PERMITTED BY LAW, WE DISCLAIM ALL LIABILITIES WITH RESPECT TO YOUR USE OF OR INABILITY TO USE SUCH APPLICATIONS AND THE PERFORMANCE OR NON-PERFORMANCE OF SUCH APPLICATIONS (INCLUDING DIRECT, INDIRECT, INCIDENTAL, PUNITIVE OR CONSEQUENTIAL DAMAGES). We have no obligation to monitor such Applications and do not control or endorse the content, messages or information found in such Applications and specifically disclaim any liability with regard to such content, messages or information. We do not monitor or control the limitations, suspension or termination of such Applications and specifically disclaims any liability with regard to such limitations, suspension or termination. From time to time, We may make services or functionality available to You to try at Your option at no additional charge, which is clearly designated as beta, pilot, limited release, developer preview, non-production, evaluation, or by a similar description (collectively, “Beta Solutions”). You may choose to try such Beta Solutions or not in Your sole discretion. Beta Solutions are intended for evaluation purposes and not for production use, are not supported, and may be subject to additional terms. Beta Solutions are not considered “Solutions” under this Agreement, however, all restrictions, Our reservation of rights and Your obligations concerning the Solutions, and use of any related Applications, shall apply equally to Your use of Beta Solutions. Unless otherwise stated, any Beta Solution trial period will expire upon the earlier of one year from the trial start date or the date that a version of the Beta Solution becomes generally available without the applicable Beta Services designation. We may discontinue Beta Solution at any time in Our sole discretion and may never make them generally available. WE OFFER BETA SOLUTIONS “AS-IS” AND WILL HAVE NO LIABILITY FOR ANY HARM OR DAMAGE ARISING OUT OF OR IN CONNECTION WITH A BETA SERVICE. This EULA shall for all purposes be governed by and interpreted in accordance with the laws of the State of Minnesota as those laws are applied to contracts entered into, and to be performed entirely in Minnesota by Minnesota residents. Any legal suit, action or proceeding arising out of, or relating to this Agreement, shall be commenced in a federal court in Minneapolis, Minnesota or in state court in Hennepin County, Minnesota, and each party hereto irrevocably submits to the personal and exclusive jurisdiction and venue of any such court in any such suit, action or proceeding and waives any right which it may have to transfer or change the venue of any such suit, action or proceeding, except that in connection with any suit, action or proceeding commenced in a state court, each party retains the right to remove such suit, action or proceeding to federal court to the extent permissible. No failure to enforce any term of this Agreement shall constitute a waiver of such term in the future unless such waiver so provides by its terms. If any provision of this Agreement is held to be invalid or unenforceable, the remaining provisions of this Agreement will remain in full force and the unenforceable provision shall be interpreted so as to render it enforceable while approximating the parties’ intent as closely as possible. This End User License Agreement is the entire agreement between You and Us regarding Your use of Our Solutions and supersedes all prior and contemporaneous agreements, proposals or representations, written or oral, concerning its subject matter. Except as otherwise provided in Section 3.22 below, no modification, amendment, or waiver of any provision of this Agreement will be effective unless in writing and signed/accepted by the party against whom the modification, amendment or waiver is to be asserted. The parties agree that any term or condition stated in Your purchase order or in any other of Your order documentation (excluding Order Forms) is void. In the event of any conflict or inconsistency among the following documents, the order of precedence shall be: (1) the applicable Order Form, (2) this Agreement, and (3) the Documentation. We have the right to discontinue the Solution at any time through notice to You at Our sole discretion. This Agreement shall be binding and shall inure to the benefit of the parties hereto and their respective successors and permitted assigns. This Agreement (including the Order Forms) may not be assigned by You (whether by operation of law or otherwise) without Our prior written consent, such consent not to be unreasonably withheld. We may assign this Agreement (including the Order Forms) without Your consent or notice to You. The parties are independent contractors. This Agreement does not create a partnership, franchise, joint venture, agency, fiduciary or employment relationship between the parties. Modifications to this agreement may be made by Us at any time. The modified agreement will be effective immediately upon posting on Our website and You agree to the new posted agreement by continuing the use of the services. We will use reasonable efforts to notify You of modifications that are material to Your use of the Solutions, which notice may be provided by email or a notification posted to Your account. If You do not agree with the modified agreement, Your only remedy is to (a) discontinue using the services and related software, as well as any free trial (if applicable), and (b) terminate this agreement in accordance with its terms, in which case We shall refund to You any prepaid fees. The headings in this agreement are for purposes of reference only and shall not limit or otherwise affect the meaning hereof. All notices under this Agreement must be given in writing and delivered either by hand, e-mail (receipt confirmed in the case of notices from You to Us), certified mail (return receipt requested, postage pre-paid), facsimile (with evidence of a successful transmission), or nationally recognized overnight delivery service. All delivery charges pre-paid. Notices from Us to You shall be provided to the contact information We have on file for You. Minneapolis, MN 55401, United States of America. Attn: Chief Financial Officer or if by email, to support@hcl-powerobjects.com. All such notices to Us shall be effective on the date actually received, or in the case of mailed notices, three (3) business days (or seven (7) business days in the case of an international mailing) after such mailing. The above addresses/contact information may be changed at any time by giving prior written notice as above provided.